home Blog The End of an Era? Survivor Series used to be a Thanksgiving Day tradition, but over thirty years after the inaugural show, it’s now become more of a Thanksgiving-adjacent tradition. Even the traditional Survivor Series elimination matches have, at times, struggled to remain a relevant part of the show that bears their name as the WWE has grown and changed over the decades. So with the traditions of WWE’s November classic continually eroding, how long can the more recent tradition of pitting SmackDown versus RAW last? Well, according to an article published on ESPN.com, this year’s Survivor Series could, and should, be the last night of the year when RAW and SmackDown go head-to-head in direct competition (sorry, I had to do it). While some of article author Arash Markazi’s points make sense, I can’t say I agree with most of his logic, nor do I agree with his opinions. Allow me to elaborate. Markazi writes that the 2018 edition of Survivor Series could be the end of an era. Specifically, he thinks that the head-to-head RAW vs SmackDown matches will be pointless because, this time next year, the brand split will be a thing of the past. He reasons that with Fox’s recent acquisition of the television rights to air SmackDown starting next October, it makes the most sense to go back to one main roster. After all, Fox is spending a lot of money, so wouldn’t they want ALL the top stars of WWE? I think from Fox’s perspective, combining the rosters makes sense. While the biggest rumor of changes to SmackDown when it starts on Fox has to do with moving away from a variety/comedy style of sports entertainment to a more sports-based pro wrestling program, I think Fox would be totally fine with having RAW’s top stars like Seth Rollins and Braun Strowman in addition to SmackDown’s current top stars such as Becky Lynch and AJ Styles. But ending the brand split in order to appease Fox is not a rumor; it’s just a logical conclusion with no evidence to support that it might actually happen. Though Markazi’s point is solid, his way of supporting that point is much less convincing. Sure, Fox would want the top WWE stars, but October is a long ways away. There is almost definitely going to be another Superstar Shakeup (or draft or whatever they end up doing) before next October. The Shakeup would allow WWE to reposition all of its top stars however it wants. If Fox wants Becky Lynch and Seth Rollins, they can get them. Of course, RAW will need some top talent as well, but with over 100 people on the main roster right now, and plenty of people to call up from NXT and NXT UK, there is no shortage of star power. Plus, WWE is not averse to the idea of sharing talent between shows when it’s convenient. Brie Bella was recently in two separate story lines that kept her on both RAW and SmackDown for weeks. John Cena can show up wherever and whenever he wants. New Day showed up on RAW 25. And of course, the buildup to Survivor Series over the past couple of years has had multiple brand invasions. There are plenty of examples of the lines of the brand split being crossed whenever WWE wants. Though Markazi’s point of Fox wanting everyone on their show is valid, getting rid of the brand split is not the only solution, nor is it the best. Markazi uses Survivor Series as an example of why the brand split is no longer a good idea. In his article, he states that the show is built upon feuds and matchups that will have no real payoff and will be mostly forgotten in the weeks after the show airs. All the participants will go back to their respective shows, and the effects of the “dream matches” of Survivor Series will quickly fade as everyone moves on to other things. While that might be partially true (I haven’t hidden my own distaste for most of the Survivor Series buildup over the last few years), I think this year’s show might have the potential to affect many storylines going forward. The biggest and most obvious example I can think of is how Survivor Series will affect the women’s division of both RAW and SmackDown. Becky’s invasion of RAW was a thing of beauty. It was a star-making (or at least star-elevating) moment for Becky Lynch. Unfortunately, Becky’s concussion kept her out of Survivor Series, but Charlotte’s match with Ronda Rousey was probably the most exciting and important part of the pay-per-view. I feel like the trajectory started in Survivor Series and the week leading up to it will carry the top of the women’s divisions all the way to Wrestlemania. Characters are changing, fan support is shifting, and all of the women involved are making a strong case to main-event next year’s biggest WWE event. But if everyone were on the same roster, the feuds would be much more difficult to carry through over four months while maintaining high levels of interest. In my opinion, the writers for the main WWE roster often have problems keeping feuds interesting, even with the brand split. The general idea for many feuds seems to be to have the wrestlers face each other over and over in the same or similar matchups for weeks at a time. How many RAWs in a row did Bobby Lashley have pretty much the same singles match with Finn Balor? How many times did we see some combination of The Shield versus Strowman, Ziggler, and McIntyre in RAW’s main event after Reigns won the Universal Title? For me, this kind of writing doesn’t work very well. Finn Balor is one of my favorite superstars, but by his third match with Lashley I was over it. If there were no brand split, we wouldn’t just get the same matches once a week for weeks on end, we’d get the same matches TWICE a week for weeks on end. NXT and 205 Live show that you can maintain interest over long periods of time by not showing us the same thing every week. The writing on NXT is mostly great, and not seeing the same people do a variation of the same thing every single episode helps to prolong the excitement. Also, the limited space on 205 Live provides a similar result, causing us to wait for weeks before seeing a rematch and another chapter in the storylines. The payoffs are much greater in the end, partly because of how the delayed gratification has gotten us more invested than spamming the same matches could ever do. Sparingly using the interest built from this year’s Survivor Series could make next year’s Wrestlemania very interesting. I also think that both shows used Survivor Series in a better way this year. Markazi’s point about pointless feuds doesn’t hold up when you look at how many of the matches were incorporated into the story lines from both shows. Daniel Bryan used his match with Lesnar to solidify his new character, and that will add fuel to his feud with AJ Styles. The dissension on the RAW men’s team felt more important than any sort of brand superiority sub-plot in their elimination match. The same can be said for the RAW women’s team. Was I completely happy with Survivor Series? No, I though the near-sweep was dumb and pointless, but my problems don’t lie with the brand split, they lie with how frustrating the match results were. So no, Survivor Series is not a pointless show. It can be used to even better effect than it was this year, but it has the potential to be one of the year’s more interesting shows as well as the real starting line on the road to Wrestlemania. But Markazi goes on to write about how removing the brand split will lead to better storylines and more fresh matchups. He writes that the brand split causes a “lack of superstar talent.” This is utter nonsense. Even with the brand split, there is limited time on the shows. Just look at SmackDown. Samoa Joe, Andrade Almas, Asuka, SAnitY, Rusev, Anderson & Gallows, and others are all top talent that have, at times, struggled to stay visible on the weekly show. There are many superstars that we never see (who knew Primo and Epico were still on the roster prior to Survivor Series?). There are plenty of fresh matchups to be had, WWE just needs to put them together. Storylines get stale because of lazy writing, not because there is a “lack of superstar talent.” Ending the brand split will not change that. One of Markazi’s only facts that he presents in favor of his view is that the final RAW before the current brand split had a higher viewer rating than the RAW most recent to when his article was written. First of all, the RAW he mentions, the July 11, 2016 episode, was not the last before the WWE Draft; the final RAW before the split was the following week. Second, and more importantly, the comparison isn’t great anyway. I don’t pay much attention to ratings, but if the headlines I skim past are to be believed, RAW has been on a downward trend for a long, long time. The trend has spanned across the previous brand split, the merging of the brands, and the current split. I’m not saying that’s a good thing, I’m just saying that the splitting of the roster likely doesn’t have much to do with the ratings difference between two individual episodes of RAW in two different years. Additionally, WWE ratings definitely go in cycles. As evidenced by an article on Forbes.com, ratings in July are pretty much always higher than in November, regardless of the year. You also have to take into account what happened on the shows. The RAW in 2016 was the one with that dumb Wyatt Compound Match that I hated but that others seemed to enjoy. Ultimately, to me, Markazi’s point feels a lot like someone denying climate change because it was unusually cold one day where they live. Regardless of how you feel about the facts, the logic is unsound. Arash Markazi, along with other people online, think that the brand split has run its course. 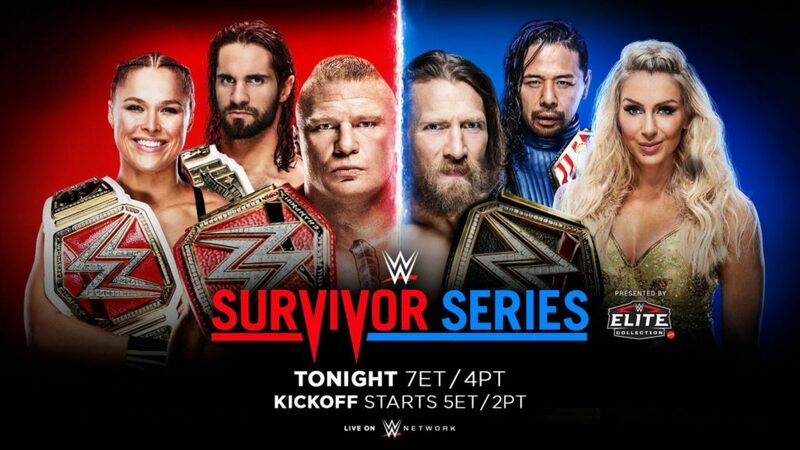 For them, the 2018 Survivor Series could and should signal the beginning of the end for separate rosters. I think that’s a bad idea. It wouldn’t solve any issues anyone might have with the current WWE product. Personally, I think there is a lot to like, but some aspects of the main roster do get very tiring for me. Throwing more people at the problem isn’t the solution though. Better writing is the solution. The impending move of SmackDown to Fox on Friday nights shouldn’t be the end of the current brand split era, it should be the beginning of a new era of better writing and smarter match-making.